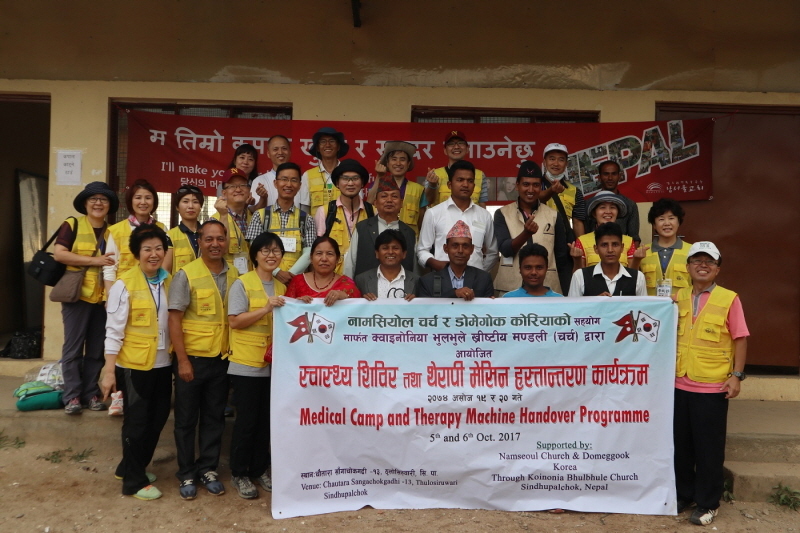 In September 2017, Domeggook, along with Nam Seoul Church, held a community service event donating medicine-related products to the Nepal Bulbulle Community Health Center. Among the products donated included physical therapy machines and medical supplies. Following last year's donation of more than 1,000 books to children in earthquake-stricken areas, this year also proved to be one in which Domeggook was able to share some warmth and concern for some of those in Nepal's remote areas.